extremely compact and have longer battery lives. or anything, in real-time, 24/7. 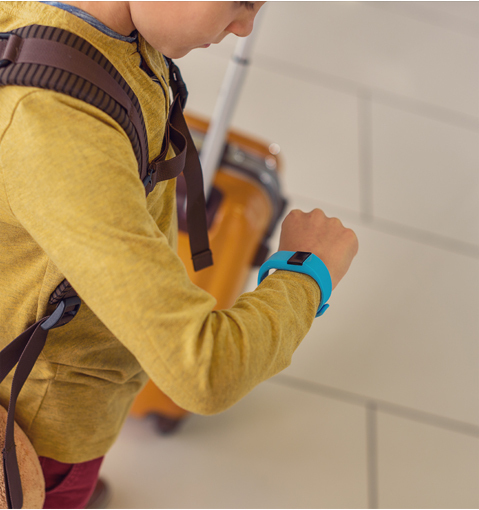 when GPS personal tracking devices are in your future! The world is becoming unsafe for women and children in all aspects. The crimes against women (32,100 cases registered in 2017) and children (15,534 cases registered in 2017) are increasing at a higher rate. Whatever their age or situation, the most important factor is addressing the daily safety risks that are a result of the individual’s personal situation. A GPS tracker has an instant invaluable impact on the individual’s daily routines and more crucially, provides 24/7 added safety. For carers and others responsible for the well-being of the individuals, a safety tracker allows you to quickly see where they are or be alerted to an SOS situation instantly. SOS alarm – In times of emergency, it is quick and easy to reach out for help through SOS alarm. Real-time tracking – Track their location in real time no matter where they are. Waterproof – With the ability of waterproofing, this device provides much more benefits with its unique features. Zone Alerts – enables you to create zones for tracking your friends, family, pets or assets. It alerts you every time the concerned person or object enters/exits the designated area.